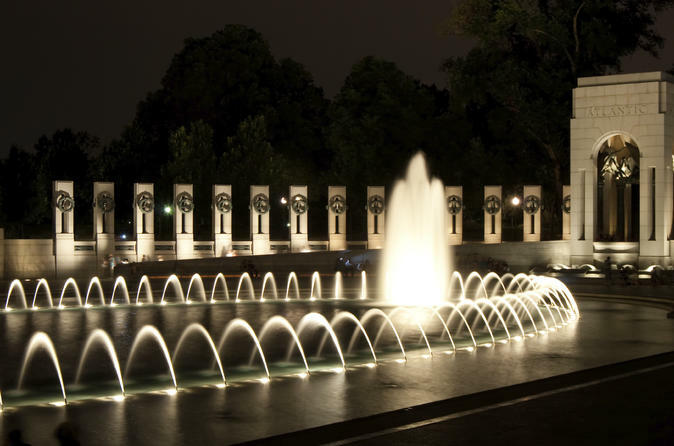 DC after dark wonder is a comprehensive tour with the guide directing you to all the monuments and memorials at a wonderful pace while giving you fascinating facts to make every visit a memorable one. You will be totally engaged and entertained while visiting the wonderful attractions under the DC lights. The best pictures are taken on this tour by the design of our special routing of the tour. Begin your tour with pickup from the Hyatt Regency and hop on either a minibus or van (depending on the amount of travelers) to begin your tour. The tour guide will give you a brief introduction of the itinerary and themselves and then you will head to towards the capitol. Once you have arrived at the capitol you will be dropped off at the Garfield circle and guided through the capitol steps, where you will be picked up and brought to your next location. On the way to your next location your guide will show you the department of labor, the judiciary square and the united states courthouse featuring the statue of chief justice John Jay. Next up you will see the Canadian Embassy, the only embassy that is close to the legislative arm of our government. Your guide will discuss and point out all of the major buildings and attractions of Pennsylvania Avenue. A few of these sights will include the newseum, the federal trade commission, the national gallery of arts, the national archive, the navy memorial, the department of justice, the FBI, the IRS, the old post office pavilion, the freedom plaza the EPA, the Mayors office, Willard Hotel, Ronald Regan Building and much more. Next, the tour stops off at the front of the White House, you will be able to get off of the bus and walk though the front of the white house to 17th and Pennsylvania Avenue, during which your guide will discuss details about the white house and what can be seen in Lafayette Park. Next you will stop at the World War II memorial, the tour will proceed then to the Jefferson Memorial. As you head towards the memorial, the guide will discuss everything in sight on the way, including the holocaust museum, the old executive office building, the corcoran gallery, red cross, organization of the American states, the department of commerce, Washington monument and the gate keepers house. This tours final stop will be at Iwo Jima, you will then be returned to the original departure point.